The Denver Broncos can expand their two game lead in the AFC West by completing a sweep of the San Diego Chargers Sunday. Quarterback Peyton Manning can inch his way towards another record Sunday as the Denver Broncos host the San Diego Chargers at Sports Authority Field at Mile High. With 147 career wins, Manning is one win away from tying John Elway for second most wins by an NFL starting quarterback. Manning won No. 147 with only one touchdown pass last week as the Broncos defense and special teams knocked down the Carolina Panthers 36-14. Trindon Holliday returned a punt 76 yards for a touchdown, and Tony Carter picked off Cam Newton for a 40 yard interception return for a 24-7 lead. 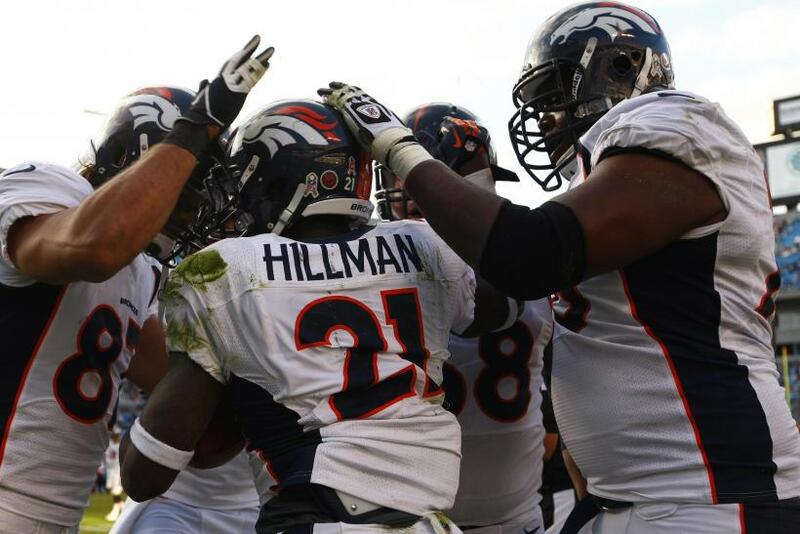 Manning would finished 27-for-38 for 301 yards, and running back Willis McGahee had 14 carries for 56 yards. There is cause for concern with McGahee, who is No. 11 in the NFL in rushing, but has also coughed up five fumbles this season. The Denver defense did an excellent job covering the multi-talented Newton, forcing two interceptions from the second-year quarterback. They will try to repeat that performance against the Chargers' Phillip Rivers. Rivers has thrown 12 interceptions this year, putting him in a three-way tie for second most in the NFL. His two second half picks spoiled what would have been a solid performance as the Chargers fell 34-24 to the Tampa Bay Buccaneers. Receiver Danario Alexander caught five balls for 134 yards and caught one of Rivers three touchdowns. He finished 29-for-37 for 337 yards, but the San Diego offense stalled in the second half, only managing a field goal. Tampa Bay’s Leonard Johnson returned one of Rivers picks 83 yards for a 31-21 lead and the Chargers couldn’t respond. In terms of injuries, Chargers running back Ryan Matthews is questionable due to a neck injury, while Denver will be down cornerback Tracy Porter, who was limited at practice Friday due to an undisclosed illness. The game begins at 4:25 p.m. EDT and will be shown by CBS, or watch a live stream online by purchasing NFL Sunday Ticket Max. Prediction: Despite his struggles, Rivers is still a talented quarterback and should have a big game. Manning will lead a late charge, but look for San Diego to close the game out in the fourth quarter.